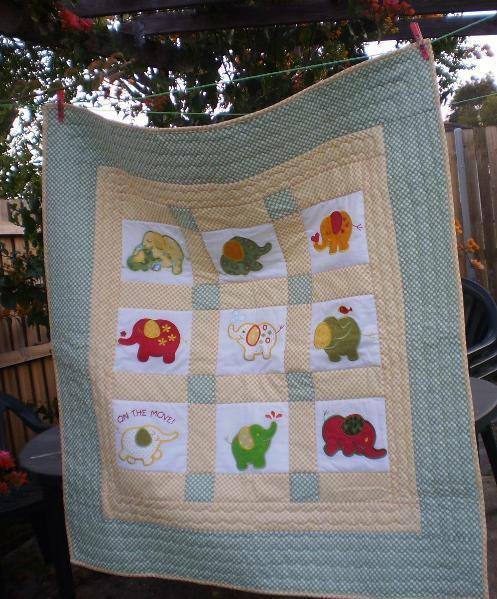 Project Inspiration - Roly Poly Elephant Quilts / Designs By JuJu Embroidery Blog! This entry was posted on September 4, 2018 by Julie Hesketh. We love the way this beautiful quilt turned out by Irene! 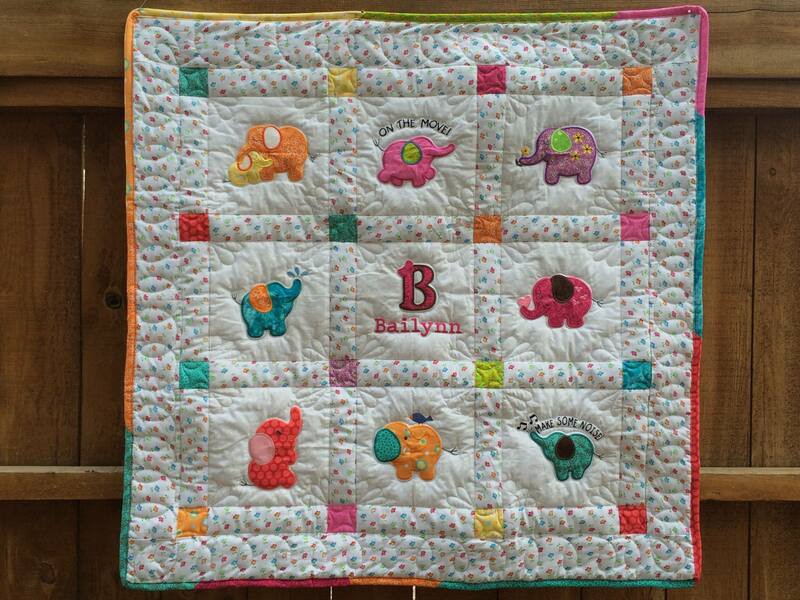 We really love the way she mixed and matched different patterns on the quilt to make each of the Roly Poly Elephants one of a kind. 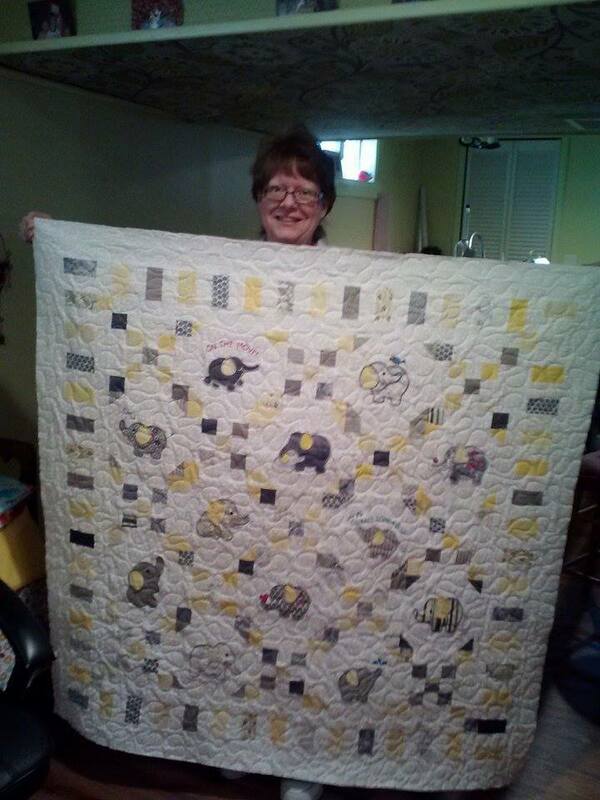 Thank you for sending in a photo of your quilt, Irene! This quilt by Carol is too cute! We really love the bright colors she chose for the Roly Poly Elephants & the borders, and especially how they contrast with rest of the quilt. We can’t get enough of this gorgeous quilt that Devika sent in! We love the color scheme she used, it complements the Roly Poly Elephants so well. Thanks for sending in this gorgeous quilt, Devika! 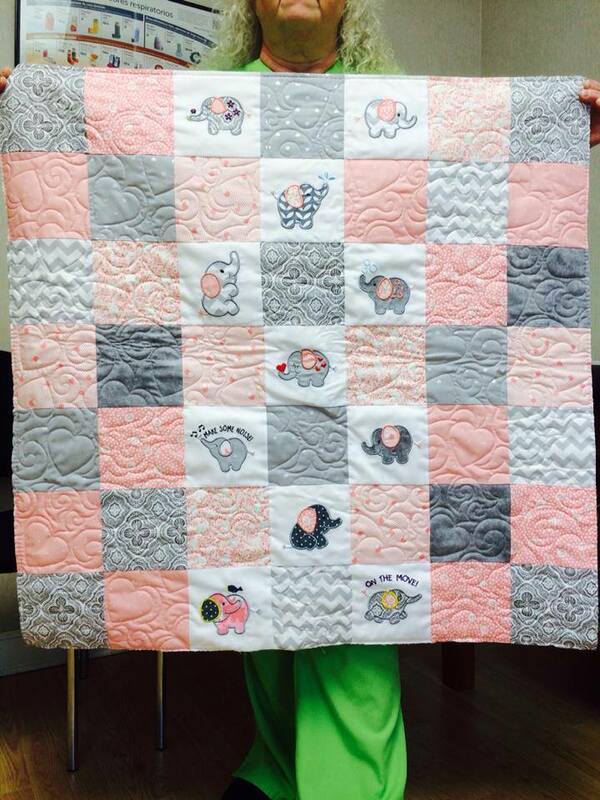 This Roly Poly quilt by Jeannie is the perfect baby shower gift for a little girl! We love the pinks and greys she used to make this a one-of-a-kind piece. Our Roly Poly Elephants look so cute on it!! 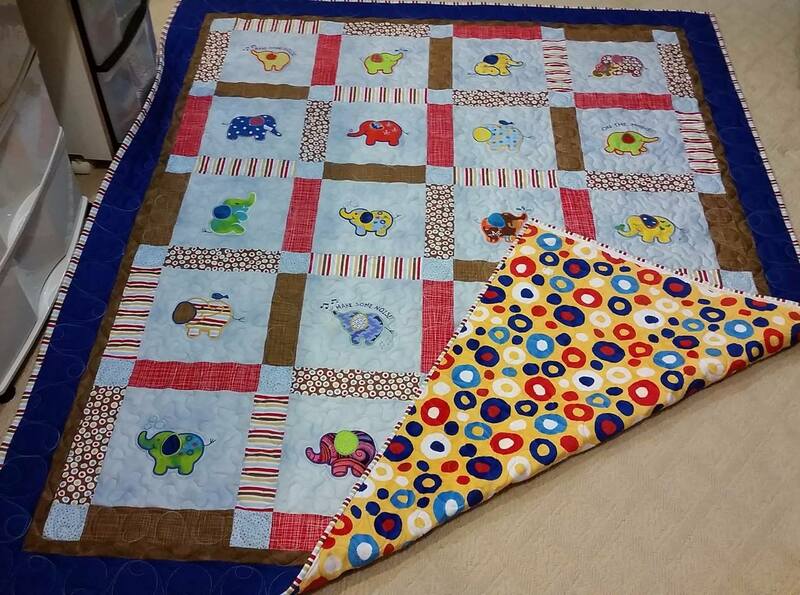 Thank you for sending in this adorable quilt, Jeannie! We’re loving this quilt Liliana sent in. The color combo is so sweet, and it is giving us some serious baby project inspiration!! We're loving the pink polka dot ears on the Roly Poly Elephants. Aw! 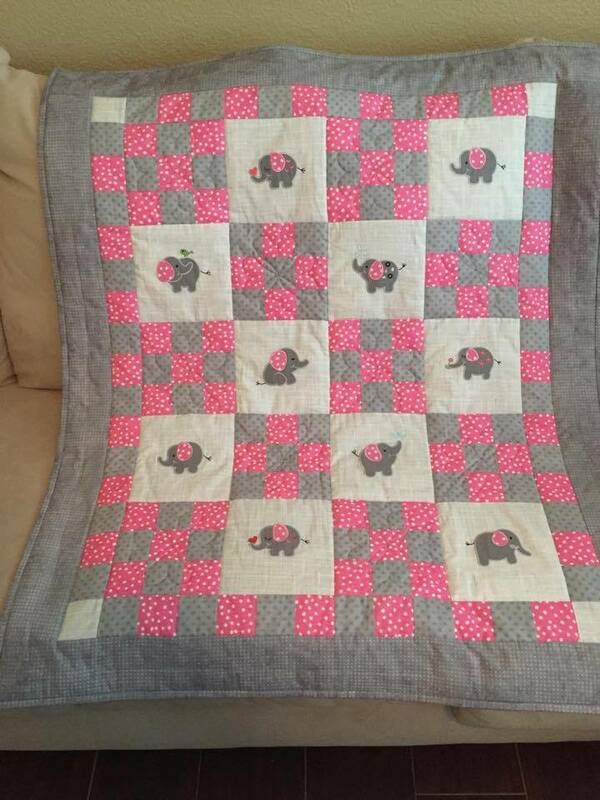 This quilt Mary made using our Roly Poly Elephants set turned out so beautifully! We love the yellows and greys together, especially for a baby boy. 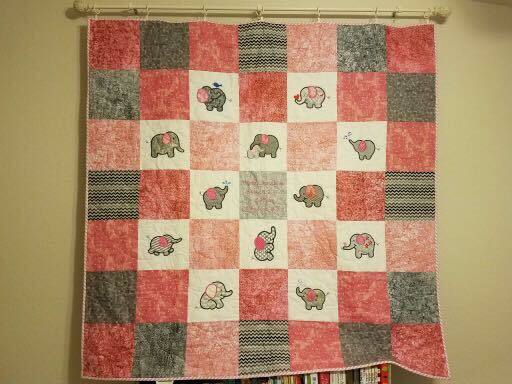 Thanks for sending this adorable Roly Poly Elephants quilt, Mary! 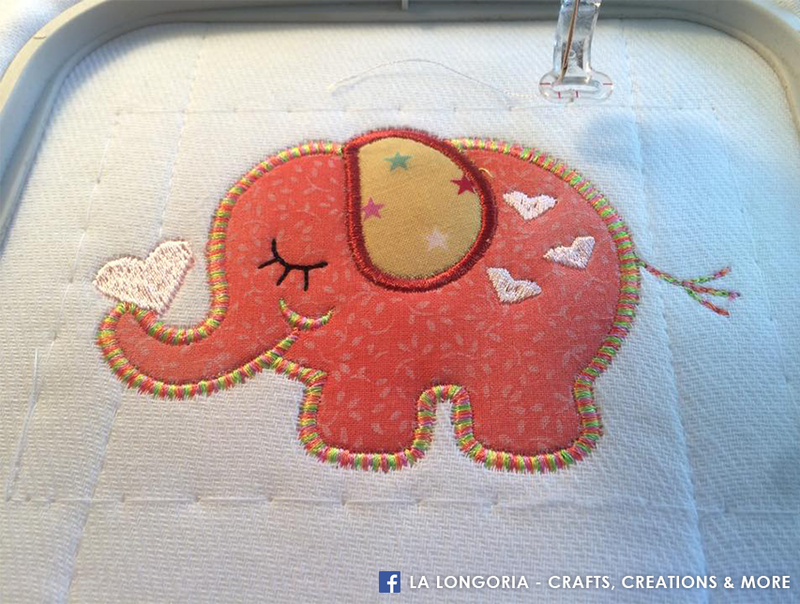 How cute is this quilt Terri made using our Roly Poly Elephants Applique?? We love all of the different prints she matched, as well as the unique placement of the elephants!